Brain artery anatomy. 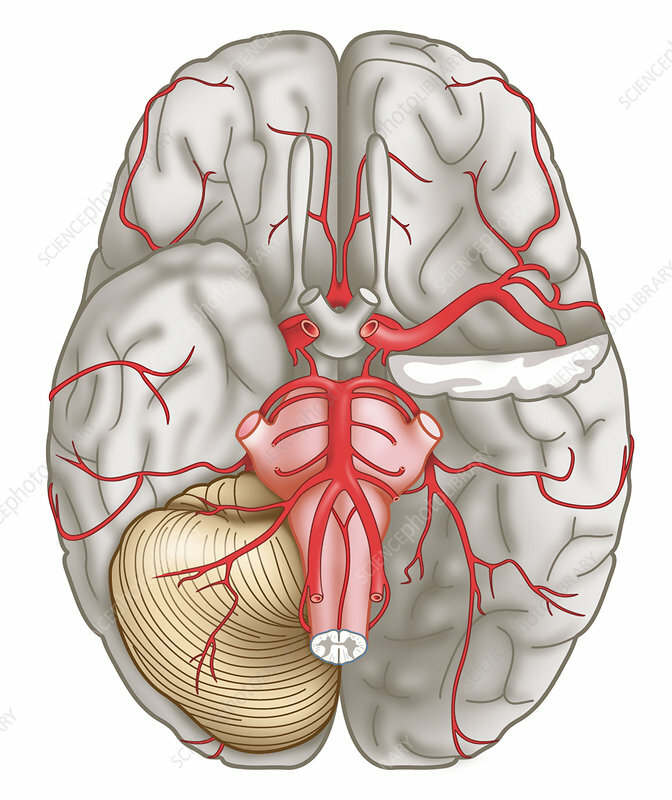 Artwork showing the underside of the brain and the cerebral and basilar arteries (red). One side of the cerebellum (light brown) is at lower left. The brainstem (pink) is also shown.